Hello friends! I have been falling in love with vintage hair styles. I don’t know if it’s because some of my dear friends (you know who you are) rock them or just being on pinterest. but it’s inspired me to try one today! It’s a version of the Victory Roll. 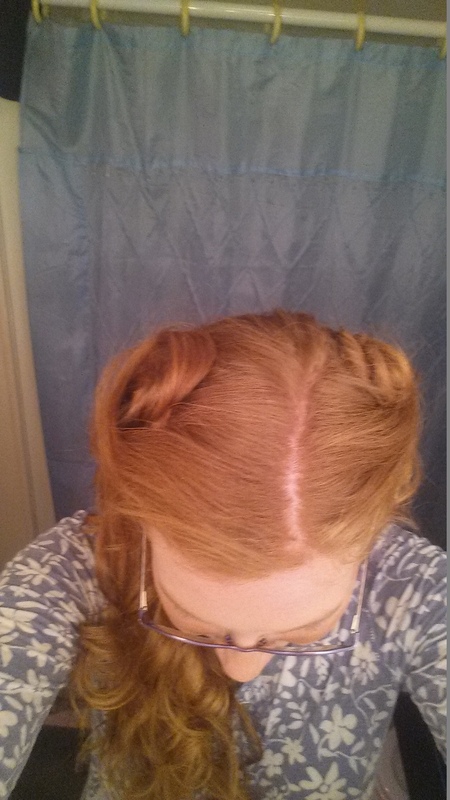 I found the tutorial at – http://theglitterguide.com/2011/09/30/1940s-hair-tutorial/ . super easy tutorial but it was more difficult than i thought it would be! For one thing, i didn’t want to spend half an hour on my hair, even if it was the victory rolls! And it is also thick, ,thick and did i mention it is super thick? i grew up having people comment on how thick my hair was ‘enough for two heads’ was always my response. And it’s true. i have that much hair. plus it is naturally curly, but i have been learning new ways to make it more how i want it! I even stamped my foot in frustration during this hairstyle. just wrap the hair around your finger, pin it to your head. simple. Unless your hair is …well. mine. Don’t get me wrong, i love my hair long and i love that it’s thick. Its the fact that it’s curly and well, not brown…. you’ll see what i mean in a second. =) i do want to get better at this style and try other vintage styles! I am not very good at taking pictures of myself and always feel awkward ( as if my dog is judging me!) so i’m not too keen on these photos but they are the best that i was able to get! Pssst, by the way – 9 days til Christmas! Your hair is always beautiful and I LOVE the color! But I really like the vintage look! I hope you are wearing one Christmas day! Thanks! I am still debating about what style i want for Christmas! 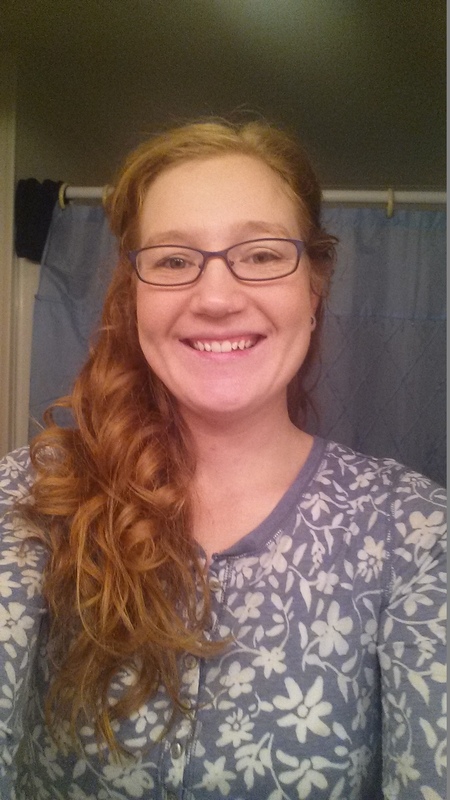 =) I splurged and bought a big curling iron so i can try more of the styles. It’s gorgeous! I’ve just been loving the amazing hairstyles you’ve been doing! aw thank you! =) Same to you too – i get inspiration from the styles, even if my hair is quite a bit shorter than yours!